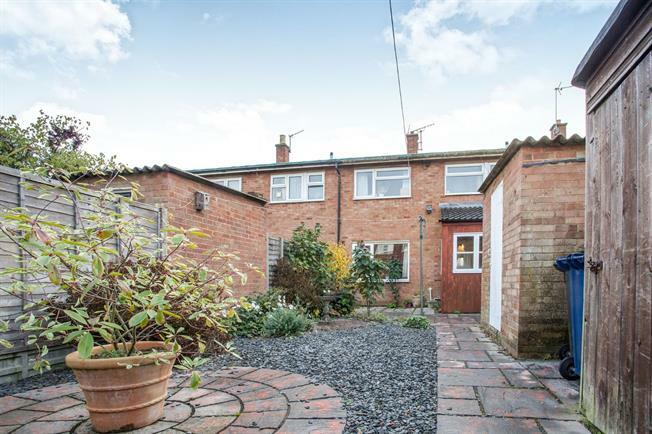 3 Bedroom Terraced House For Sale in Cambridge for Offers Over £300,000. A well proportioned three bedroom mid-terrace home in an ideal location for Cambridge Science Park. The property compromises a good sized entrance hall, separate lounge and dining room, kitchen and utility room. Upstairs there are two double bedrooms with built in wardrobes, a good size single bedroom and family bathroom. Outside, both the front and rear gardens are mainly laid to lawn with a patio area at the back and rear access.